When you are looking to hire commercial cleaning services, finding the right provider to care for your facilities is critical. Maybe you have multiple locations or a very large building and as such are considering a national janitorial company, but know this, bigger isn’t always better. There are certain instances when a national janitorial service might be your best option—like you have locations in several states and need a single, central provider. Yet in most cases, a monolithic national janitorial contractor may come with a host of issues and obstacles you haven’t really considered. Still, maybe you know that you need much more than a small operation is likely to be able to give you. You’d love to work with a local Michigan janitorial service but your cleaning needs are simply way beyond the scope of a ‘Mom & Pop” operation or small local business. Is there a middle ground, a janitorial provider option somewhere in between the really big guys and the little guys? Has clear pricing that is simple to understand. Makes it easy to know who your point person is when there’s a problem. Gets back to you quickly when an issue comes up. Cares about your facilities and works hard to keep your business not just get the contract. Unlike a one-time business transaction like buying a box of paper for example, your janitorial services contractor and you will have an ongoing business relationship. If everything else were equal, who would you rather be in a relationship with, the big guys set up in another state or your Michigan neighboring business? The relationship between you, your employees, and your janitorial service is a critical one. A local Michigan janitorial company understands the local community and is better equipped to find, hire and manage great people from right here in Michigan. Sure national janitorial companies may have some advantages, but most of these are also available from a mid-size to large local janitorial provider. Let’s look at how several service measures are broken down between the varying provider options. A national janitorial service is going to have significant buying power when it comes to supplies like paper goods that they may or may not pass on to you the customer. A larger Michigan janitorial company will also have significant buying power with cleaning supplies and stock supplies. They are likely to pass along these savings to their customers in order to compete price-wise with national janitorial companies. Not likely to have any buying power due to small purchases of recurring supplies. This is the biggest downside to a national janitorial provider. Like most other large corporations, getting to the person who can address your issue is often next to impossible. Who is ultimately responsible for your account? Who knows? And getting operational responsiveness can be a challenge if you can’t get through to a person who can get you what you need. We all know that nothing about giant national companies is usually fast. A mid to large local janitorial service offers the best mix of personal responsiveness with operational responsiveness. In these operations it is usually very apparent who your point of contact is and you can reach the ‘top dog’ if necessary. Likewise, as a bigger operation, they are poised to offer you operational responsiveness like flexible staffing, quick response to issues or changing circumstances. With a small local janitorial company, it is likely that you know exactly who’s in charge and they would be happy to talk to you. The problem is, if you have a large facility or even multiple facilities, your needs are likely to be beyond the scope of a small scale operation. Some flexibility to change staffing as needed but this will depend on how large a presence they have in your area. Do they have enough people locally to shift respond to your needs? It is here that mid to large local janitorial companies typically win. With large, qualified staff on-site, they are usually best at offering flexibility when you need more or less people servicing your facility. Most small cleaning operations just cannot respond to changing staffing needs. If you need less, they have employees they now have no work for making for a precarious situation. When you need more people, they don’t have enough employees to temporarily shift hands to meet your needs. It is here that the national janitorial companies excel. If you are seeking a single janitorial provider in different locations throughout the country, a national janitorial service is probably what you need. A national janitorial service will likely have a decent set up when it comes to hiring and screening employees but like so many huge national companies, building loyalty with employees and creating a responsive work environment is challenging. A mid to large size cleaning company quite often will have developed systems to find, screen and manage a great team. Like the big guys, they will offer benefits but they also have greater access to a network of local labor. Often the smaller janitorial companies have a hard time finding and keeping good people. Maybe it’s the lack of consistent work, benefits or the regular administration of a pool of great people. Large national janitorial services are quite possibly set up to offer you a multitude of services. Likewise, they may have organizational flexibility but it might be difficult to figure out how to get what you need in a timely manner. Midsized janitorial services quite often handle a wide array of basic and specialized services. Likewise, they can be creative and innovative with problem-solving because they are not limited by the rules and red tape of a national janitorial service franchise. They can easily adjust their services to fit your growing and changing. Small cleaning companies do not usually offer anything beyond the basic cleaning services leaving you to contract with multiple vendors for any corollary services like specialty floor care, painting and more. Sure they employ cleaners here in the local market but beyond that, their jobs and dollars go elsewhere. Made in Michigan companies employ Michiganites and keep their dollars local, whether its taxes or spending their paychecks right here in Michigan. Local Michigan cleaning companies, even small ones, benefit the local economy. 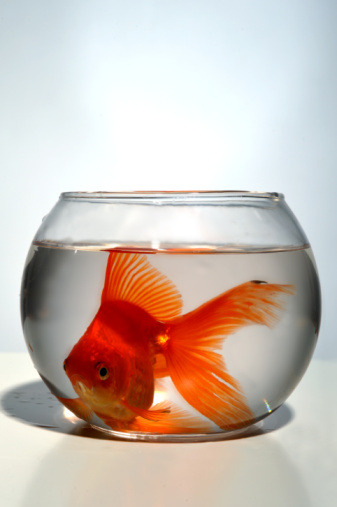 With a giant national janitorial service, you are a little fish in one of many ponds spread out across the nation. National companies can replace accounts as fast as they lose them. They fish from so many ponds that there is simply always new business for them somewhere else. A large or midsize local Michigan janitorial company has just one pond to fish from and that’s Michigan. That being the case, a solid company will work hard to keep your business and protect their reputation. If they don’t, they may quickly burn through potential customers. A smaller janitorial company will certainly value you as a customer but whether or not they can deliver what you need is another story. When small companies handle large accounts they are often dangerously reliant on one client to keep their business afloat. Serving businesses on a national scale, huge national janitorial corporations are equipped to handle the largest, multi-million dollar accounts. Yes, they’ll take your business but will you ever be a priority? Not likely. At the end of the day, while a national janitorial service may on the surface be able to outbid the local guys, they will cost you more in the long run by wasting your time as they place your needs on the back burner to focus on their bigger accounts and wade through their own bureaucracy. Additionally, national janitorial services focus on protecting their huge profit margin thus keeping their shareholders satisfied. It’s exactly this mindset that drives their methods, systems and procedures-- not a commitment to quality service or a great reputation in your community. The sometimes quoted initial low prices offered by the big monolithic national companies are not worth it when you add up the time and money you waste waiting on service, trying to figure out who to hold accountable when there is an issue and cutting through red tape to get the job done. For these reasons and more, locally based, mid-sized cleaning companies such as Stathakis are becoming the industry favorite. At Stathakis, we operate right here in Southeastern Michigan, we keep money in the local economy.